SnowLinux 4 DVD (32-Bit) | Linux DVD Shop - UK Linux Shop supplying Linux on CD, DVD and USB with Free UK Delivery, 24Hr Dispatch. 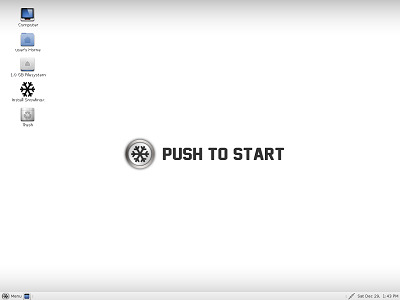 Snowlinux 4 is a Debian based distribution offering a stable and fast environment for both beginners and professionals featuring the MATE 1.4 desktop. It comes with Linux Kernel 3.5, Firefox 17.0.1 and Libreoffice 3.5.4 as well as the efficient SnowMenu and SnowMount tool for drives.